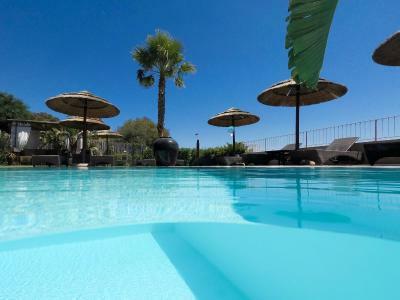 Lock in a great price for Boutique Hotel Su Sergenti - rated 8.8 by recent guests. Staff were wonderful! Restaurant wasn’t open but staff recommended others that were all lovely. Hotel reception extremely helpful and friendly. 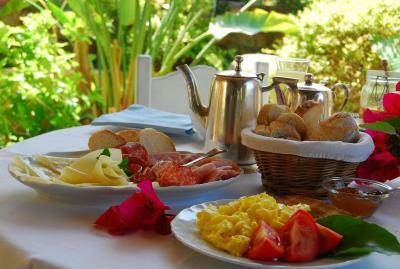 Breakfast was nice and the location was close to a supermarket and just 10 mins walk from the beach. Cozy, nice hotel with excellent staff. 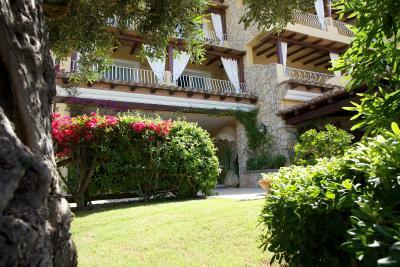 Good location-near to Villasiumius Center, 10 - 15 minutes walk to Simius Beach, 30 minutes walk to Villasiumius Harbour. Very clean, quite big room and bathroom. The hotel is very nice, nice design, it is very comfortable and cosy reception and lounge areas, the rooms were clean and nice but very tiny. The location is very good for the town, close to the center but at the end of the town and closer to the beaches, it took 10 minutes to go to the main beach. Excellent location,spotlessly clean, helpful staff Convenient car park just across the road Lovely gardens and pool area Restaurant good but not cheap! 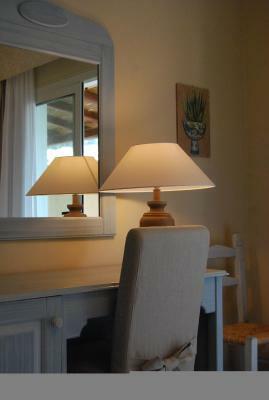 Gorgeous small hotel perfectly located between beach and town. Lush trees and plants surround the space. An absolute oasis. Helpful staff, great parking. Really fantastic staff here, made it a very enjoyable stay. The pool and public areas were well presented and excellent for relaxing. It was nice that in the afternoon the waiter came to take drinks orders by the pool. 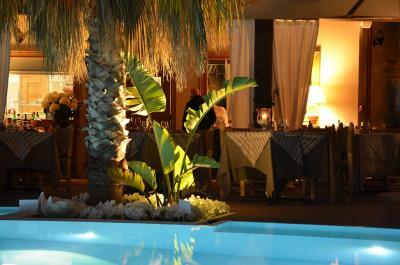 In the evening the hotel restaurant served seafood to a very high standard with friendly and professional staff. Our bedroom was a good size with a firm mattress. 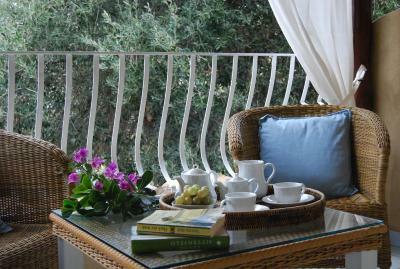 There was also a private balcony which was great for sitting and reading. Friendly staff, lovely restaurant. Good breakfast. Nice beach. Parking close by. Easy access to the town. The staff were really friendly and the location was great. Lovely restaurant for dinner. One of our top picks in Villasimius.Boutique Hotel Su Sergenti is 100 yards from the pedestrian area and a 5-minute walk from the centre of Villasimius. 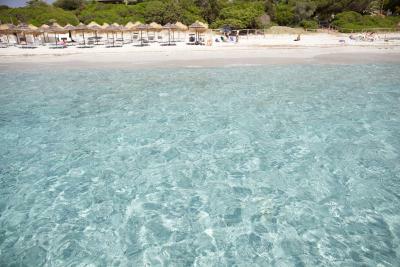 It offers a sun terrace with small pool, and the sandy beaches of Simius are less than 1.2 miles away. The rooms of Su Sergenti Boutique Hotel come in a colonial style, with tiled floors, wooden furniture, and wicker armchairs on the balcony or terrace. 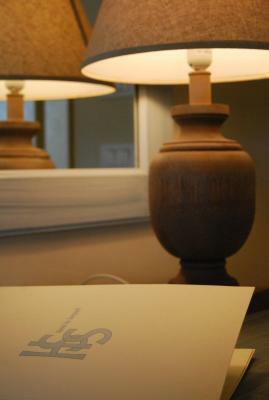 Each room is equipped with air conditioning, TV, and free Wi-Fi access. 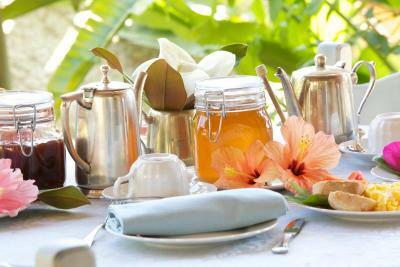 Breakfast is a varied buffet of local specialities, some coming from the family-run hotel's own farm. 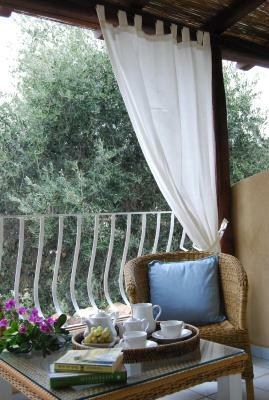 During pleasant weather it is served in the veranda overlooking the gardens. 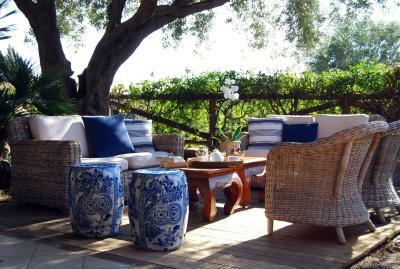 Traditional Sardinian restaurants, bars and shops are available just outside the hotel. The bus to Cagliari Elmas Airport stops nearby. 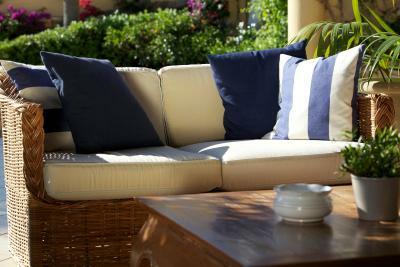 This is our guests' favourite part of Villasimius, according to independent reviews. 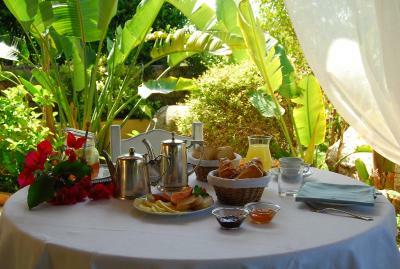 Boutique Hotel Su Sergenti has been welcoming Booking.com guests since 13 May 2011. 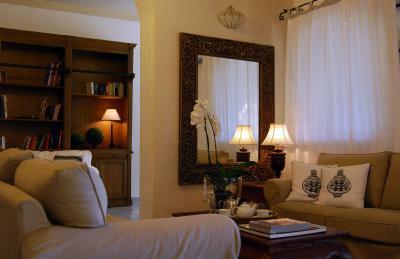 When would you like to stay at Boutique Hotel Su Sergenti? 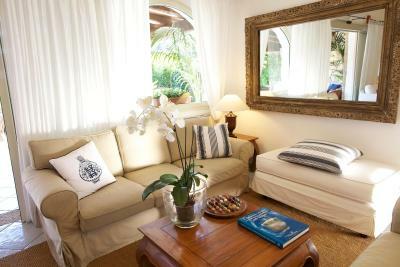 Decorated in blue and beige, the colours of the sea and sand, this room features ceramic or marble floors. It offers air conditioning, free Wi-Fi and a window or balcony. 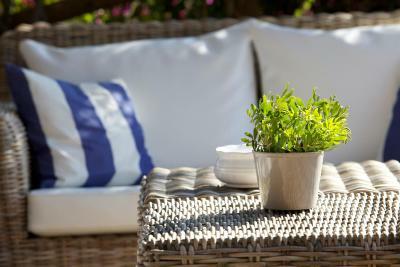 Air-conditioned room with a furnished patio and bright furnishings. Features a TV and free Wi-Fi. 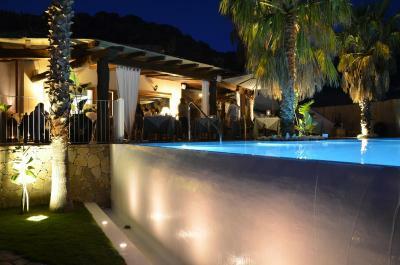 Small and charming Hotel makes your stay in Villasimius unique and unforgettable. 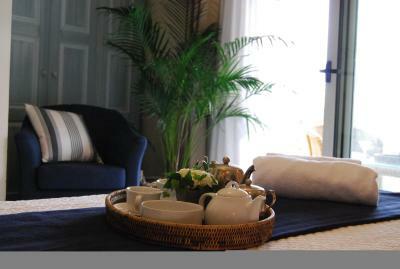 House rules Boutique Hotel Su Sergenti takes special requests - add in the next step! All children under 16 years are charged EUR 38 per night for extra beds. All further older children or adults are charged EUR 38 per night for extra beds. 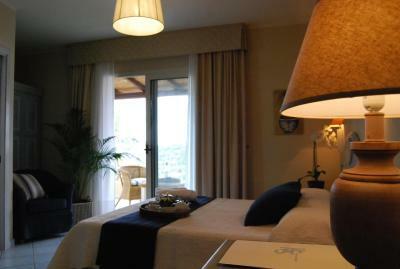 Boutique Hotel Su Sergenti accepts these cards and reserves the right to temporarily hold an amount prior to arrival. Please note that beach towels are at a surcharge. In the event of early departure, the entire amount of the booked stay will be charged. Would have been good to try the restaurant. Disappointed it wasn’t open and could have been informed before arriving/booking. Hotel fine and reasonable value BUT not a boutique establishment. The reception area is very pretty and well maintained but the rooms are dated with cheap furniture and old fashioned decor with no boutique touches. The publicity photos and literature paint a picture that does not represent the reality. That said a well situated, good value establishment. The room smelled as if vinegar had been used to clean which wasn’t great. The room was very clean itself but it was just the initial smell. WiFi was not working in our room. Most of the staff of the hotel and especially of its restaurant were not very friendly and helpful. This is the only thing that spoiled the impression of the hotel. As a side comment - what also surprised me was that there were so many mosquitos in this area. The staff are so friendly and helpful. It feels Like a second home. A lot of mosquitoes at night in the outdoor area of the restaurant. The shower and the balcony light were broken but we told reception and both were fixed by the time we got back later on. Tea/coffee making facilities in the room would be a bonus. 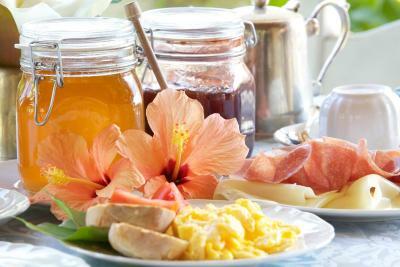 Superb breakfast. All very fresh and so much choice. The room was in pristine condition and was kept that way through out our stay. The staff were all very friendly and nothing seemed too much trouble. Well done and thank you for a lovely stay. The staff are so friendly and can’t do enough for you. 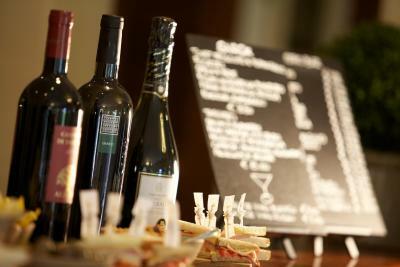 The hotel has many quite areas to relax with a glass of wine. The pool is beautiful and the restaurant was amazing - rooms exactly as per the pictures and the terrace on the room lovely!